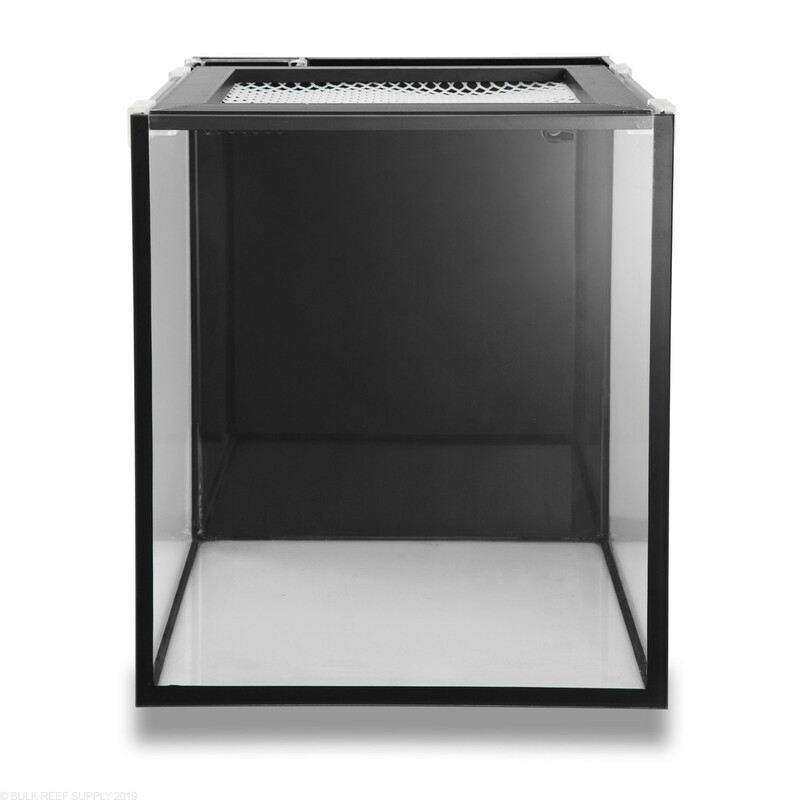 Great tank for starting in the hobby, as well as a quarantine tank for new arrivals. Tank only kit does not include Skyye Light. Build a welcoming environment for yourself with the most advanced All In One aquarium in its class. 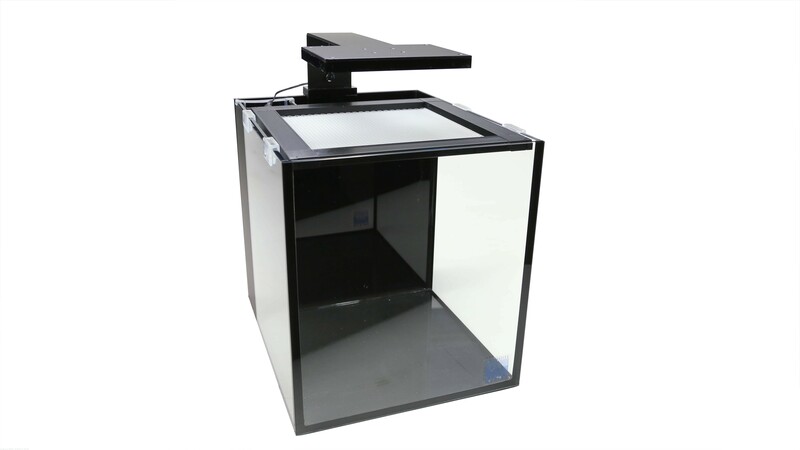 Keeping in line with the features of their award winning successor, the Fusion Nano 10 has generous display space for aquascaping and a redesigned filter wall for current and future Innovative Marine products in mind. By raising the bar on what comes standard you get to live large in a small space. The tank it’s so awesome and well built that even the fact that the return pump is garbage - stray voltage that made me jump every time I put my hand in water- did not make me remove any stars. 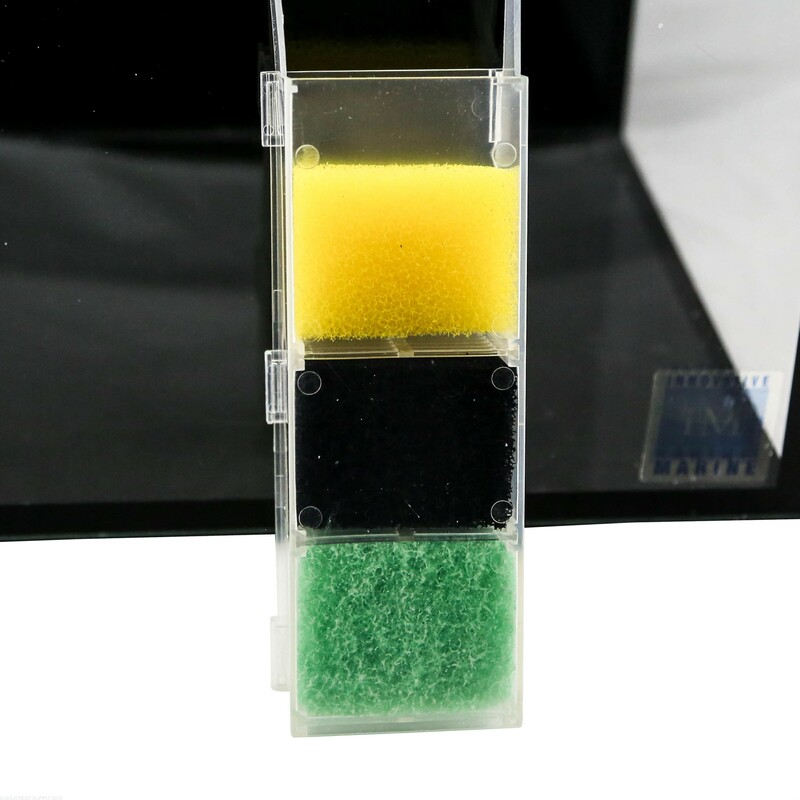 The tank is low iron, so high clarity and the black silicon is beautiful and well applied. Straight lines and edges. I’d recommend swapping the original pump for the 0.5 sicce. I have the IM 10 and 40 gallon tanks. The IM 40 lid fits very well (tight), but the IM 10 has a significant gap. One of the IM employees told me this was an issue with the IM 10. This was on a call for a different issue. Subsequently, I found two small fish dried up on my carpet, escaping from a lid that does not fit even close to as tight as their IM 40 gallon tank. They said they have a new lid (tighter fit), but they don't consider the old lid a defect - seems strange since they came out with a new lid. They would not send me the new lid and said I'd have to buy it myself. This is the definition of a defect. The tank itself is nice, but the lid is poor. I would only recommend this tank if they added the new designed lid (which has a different design covering the entire top) as part of the original tank offering, not as an upgrade. In general, this company has nice products, but instead of incorporating improved designs into their new models, they require you to pay extra. This new lid and the improved media basket are two examples. Frankly, I would look elsewhere. Red Sea is slightly more expensive, but in my experience a better product with better customer service. After years of keeping a 7.5 gallon FW planted tank in my office, I got one of these for Xmas and set up a reef. Added a Tunze nano ATO and turned the back chamber into a fuge with the chaetomax light. So far, so good. Really impressed with the quality of the tank and the performance. I did swap out the stock pump for the Sicce .5; that helped generate a lot more flow. Right now, I have a single fire fish, fire shrimp, and whatever frags I could scam from my home tanks. Figure to keep the bioload low and do weekly 10% water changes. That's nothing compared to what I do for my 75. If you're on the fence, jump off and buy one of these. 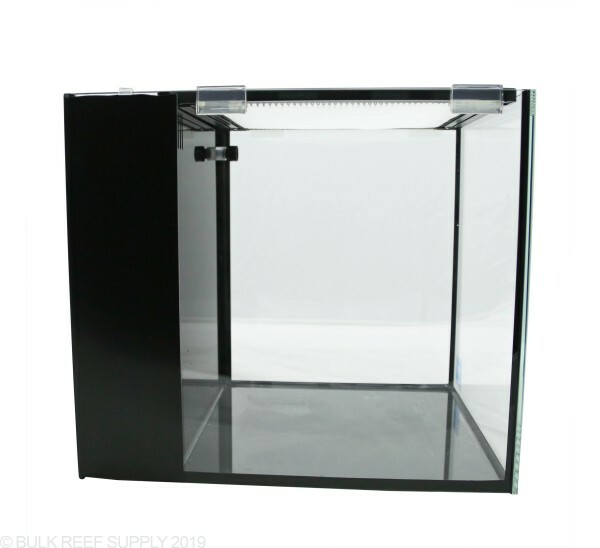 I actually have 2 of these tanks which I use for quarantining fish and coral. 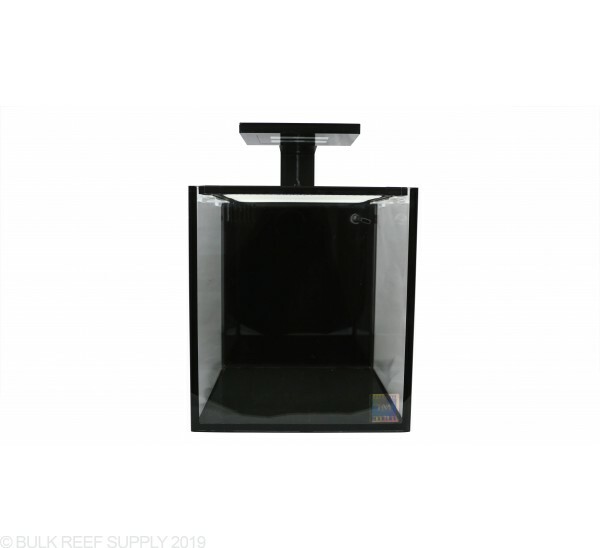 The compact size of the tank and its design is great for monitoring coral and fish prior to adding them to your display tank. 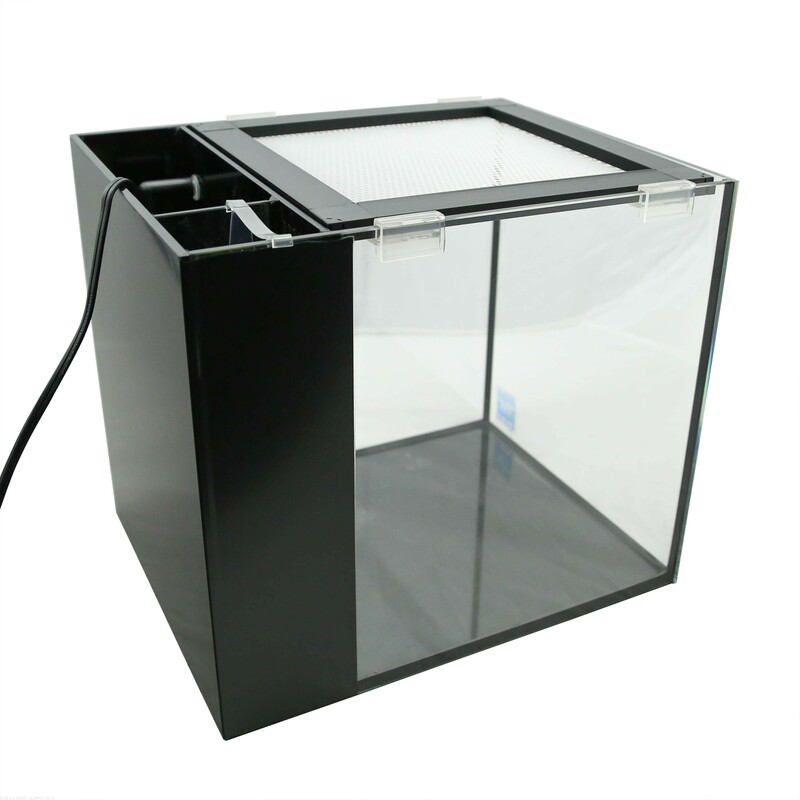 Additionally the dimensions of the tank makes them easy to store when they are not in use. 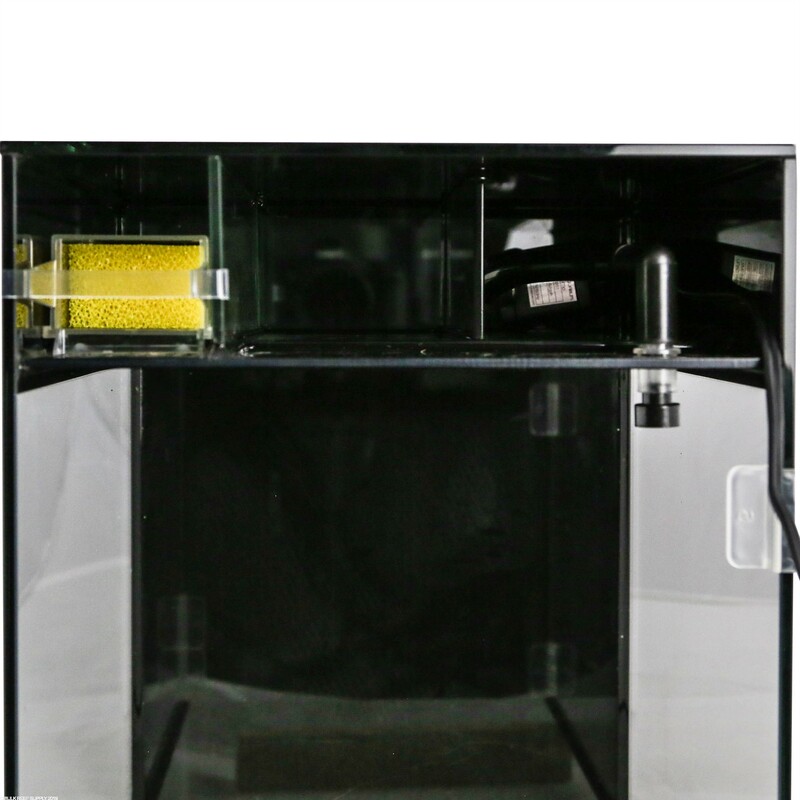 The tank comes with a lot of stuff including a filter sock, return pump and nozzle and a screen top. All you will have to add is a heater and light of choice and you are ready to fill with water. The top that comes with the tank has a great frame and comes with a set of suspension clips but the netting on the top is quite thick. 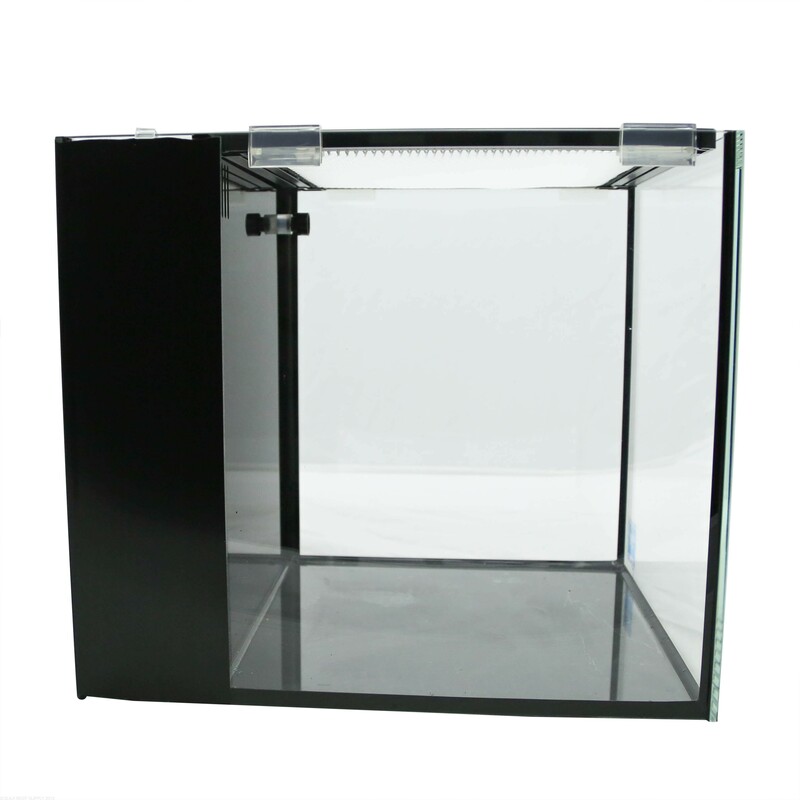 It would be great for a fish only tank or a fish quarantine tank. 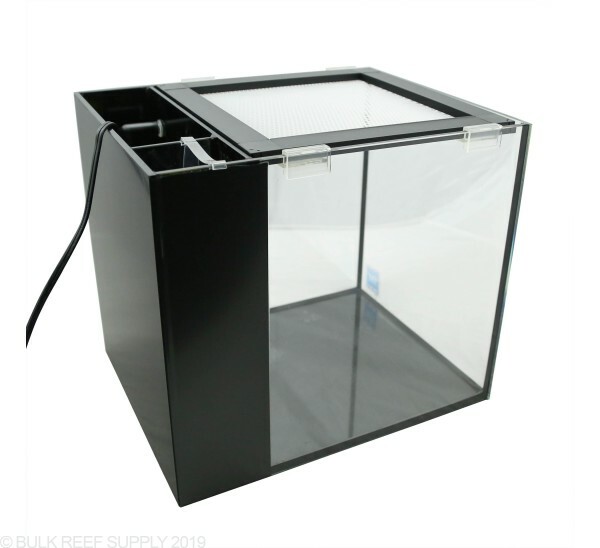 But in my opinion, if you are going to use it as a coral quarantine or grow-out tank you will need to replace the netting with a netting that is of a lighter weight. Because of its small size there is, in my opinion no need for a protein skimmer as the limited space limits the bio-load and allows for easy nutrient export via a 1-2x a week water change. That sounds like a lot, but considering just two 5% water changes a week only add up to 4 gal a month that is less than a bag of salt in a year. The filter sock is hard to clean, the return pump is noisy right from the start and the included fan nozzle adapter is not of high quality and breaks easily so be careful with that (fortunately the return nozzle adapter is a cheap available part which you can obtain from IM). The purchase of a higher quality return pump like a Sicce Micra is an easy fix for the return pump noise but that is still going to cost you a bit more. 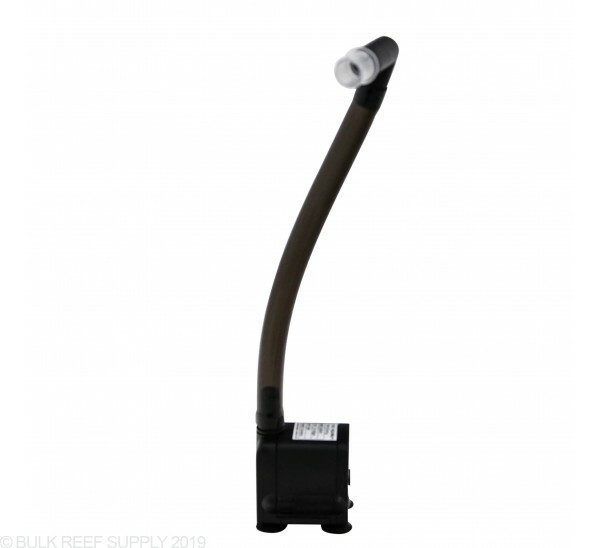 The return pump section of the tank is L-shaped and tends to result in a build-up of detritus but can easily be extracted with a piece of tubing using a siphon. Knowing this from the start avoids issues in the end. 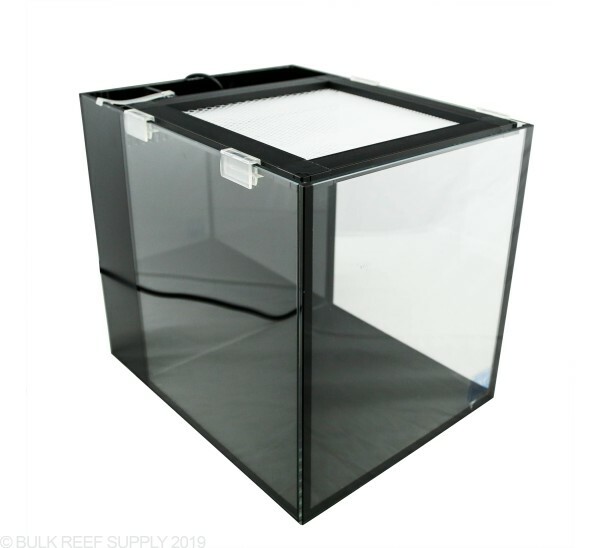 If you are using these tanks for quarantining using the TTM, you will want to know that the back glass is 2 layers thick and drying between the layers is a bit difficult. Having a large bag of dry rice helps with the drying process. I would I recommend the Nuvo Fusion 10 to others as it is a great little tank that is well built and very easy to set up. I think it would be a great desktop or counter tank but it is very small and my fears would be that you it would not be long until you outgrow it. 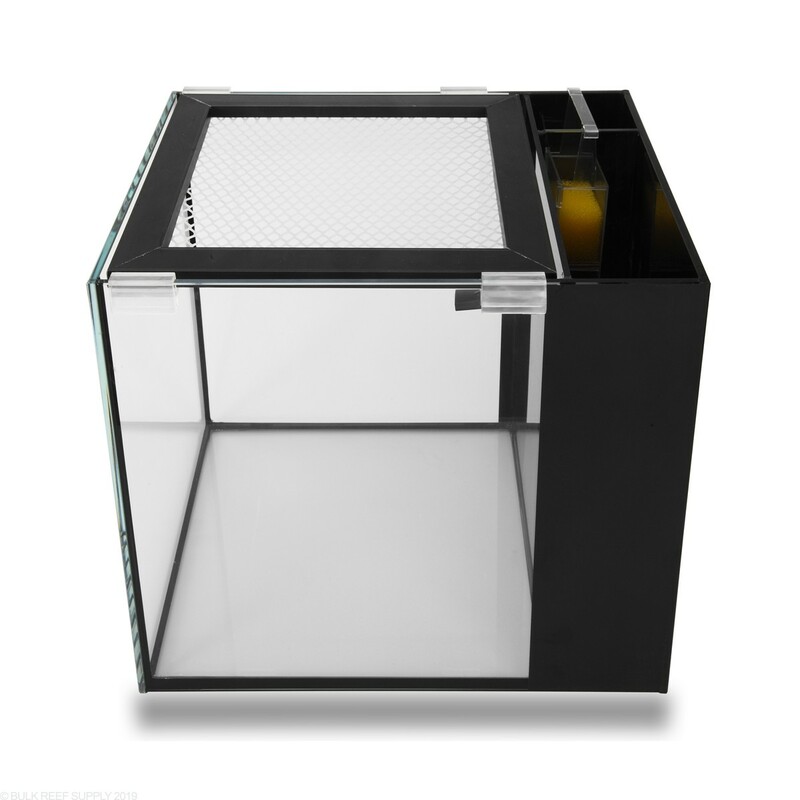 But if you are considering one as for a quarantine or grow-out tank it fits the mold perfectly. This is the best 10 gallon nano tank I have owned. The only other better nano tank I have owned is the nuvo fusion 20. With the right rockscape, you with have excellent ledges/room for a good variety of corals. 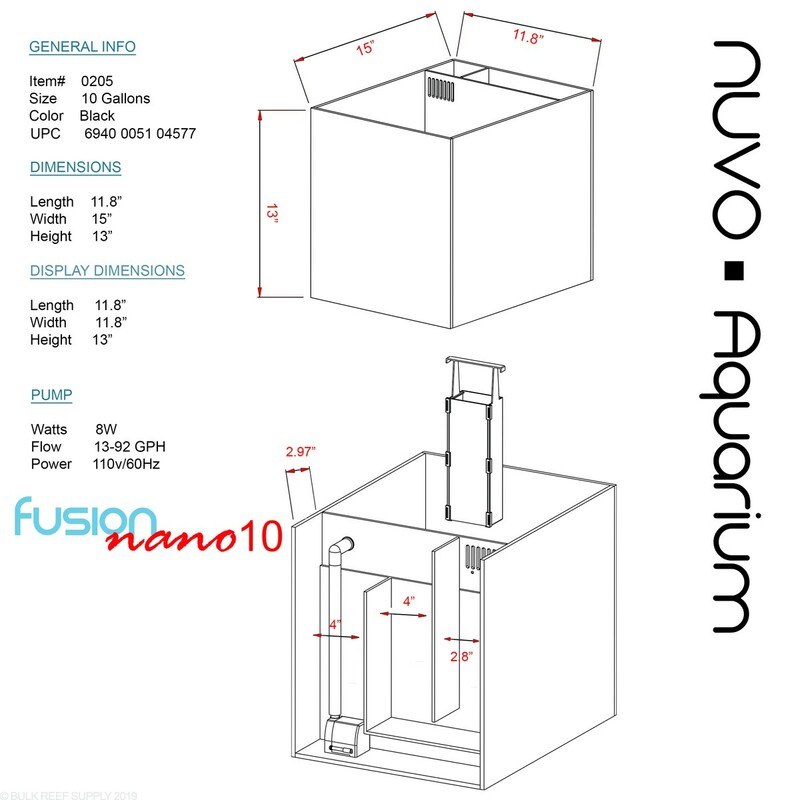 I highly recommend any of the nuvo fusion nano systems. 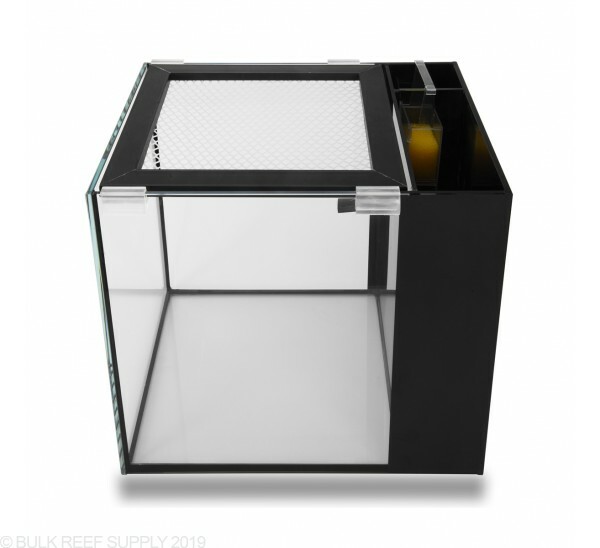 I have owned biocubes and other nano tanks and Innovative Marine's nuvo fusion system has yet to give me a headache about how it performs compared to biocubes and others. I won't bother with other nano systems anymore. Done properly, these tanks have an excellent set up for filtration. 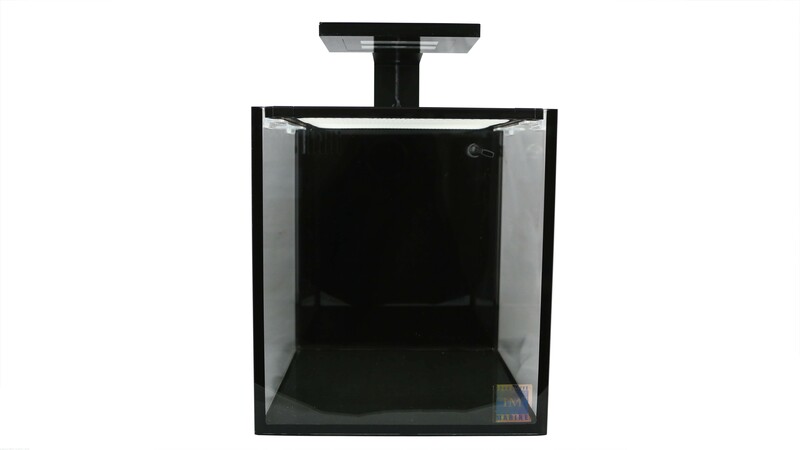 Even tho it is a 10 gallon tank, I still recommend the ghost series skimmer on it over a media reactor. 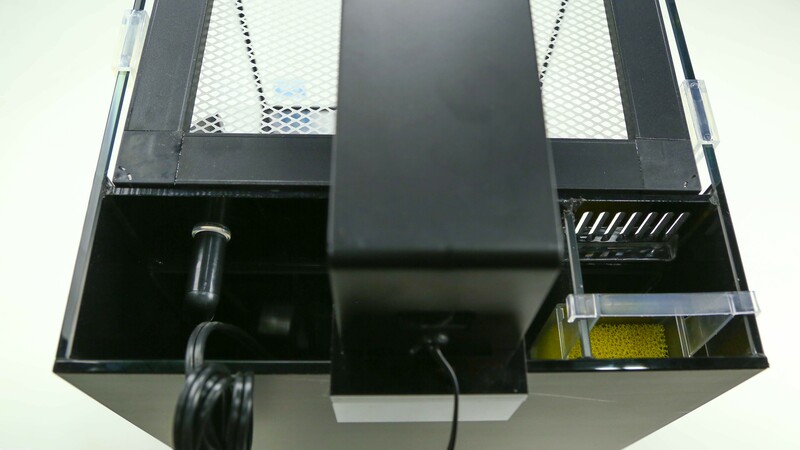 The skimmer will promote better airation/gas exchange without over killing the flow in the display tank. I am currently just using a media bag with carbon/gfo under the filter sock in the 11st chamber, and skimmer in 2nd chamber. If I do choose to put a media reactor on the tank, I will probably go with a HOB reactor and run it off the return pump and have the return hose from the reactor going to the return jet in the display tank. If there was one more chamber in the back like the nuvo fusion 20, I would have definitely put a reactor on the system. 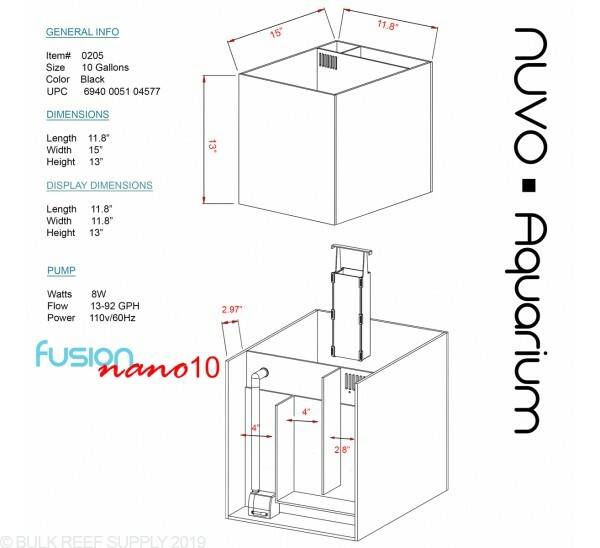 I hands down, give these fusion nuvo series tanks a 5 star rating with how versatile and how well designed the systems are versus the nano tank competitors. I love this tank. The only issue I had was the clamps on the side to hold the top. The clamps are so tight that it starts a siphon and cause water to spill from the floor. Its ways around it. Great tank for a nano set up. My rockscape came out great even for such a small space. The glass of the tank is well made, I like the filter section setup. I already ordered a new return pump tho, as the one that came with it sounds HORRIBLE! It sounds like the impeller shaft is just rattling around inside the pump. I took the pump out, checked it to make sure it was ok. Everything looked fine so I put it back in the tank. Still noisy as can be. It sounds like a dial style outlet timer with the volume turned up. Otherwise it's a great nano/starter tank. Next time I'll just plan on having a new pump right away and probably go with the 20 gallon before the 10 gallon. Bought this tank as a starter till I can go bigger and then it will serve as my quarantine tank. I love this tank and it's size, very sleek and appealing. Only downside is no other options really on skimming besides the desktop skimmer. 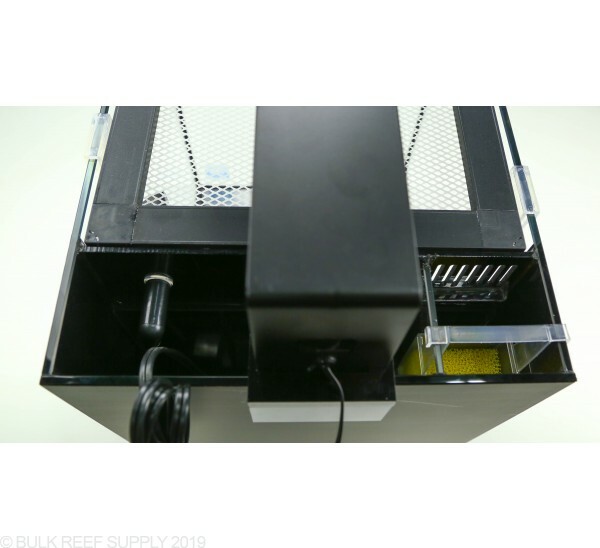 I use IM desktop media reactor, IM ATo, 1/15 Artica chiller with sicce 1.0 (fits perfect) , kessil a80, stock return pump maybe get the sicce 152gph in the future, koralia nano powerhead. Love this tank and can't wait to go bigger with IM in the future. This tank is so great. I've wanted this tank since I first started researching reef aquariums. I originally went with the NUVO 20 but recently picked this up to serve as my QT. I ordered 1lb of rock and 3 lbs of branches to use as my aquascape and it turned out perfect. Everything about this tank is great. It's the perfect size for someone looking to set up an office or, as in my case, bedside nano. The glass seems to be the perfect thickness. I also want to commend BRS on their shipping. I was concerned about ordering online but the tank was so well packaged. I truly love this site and the love that they put into their products. 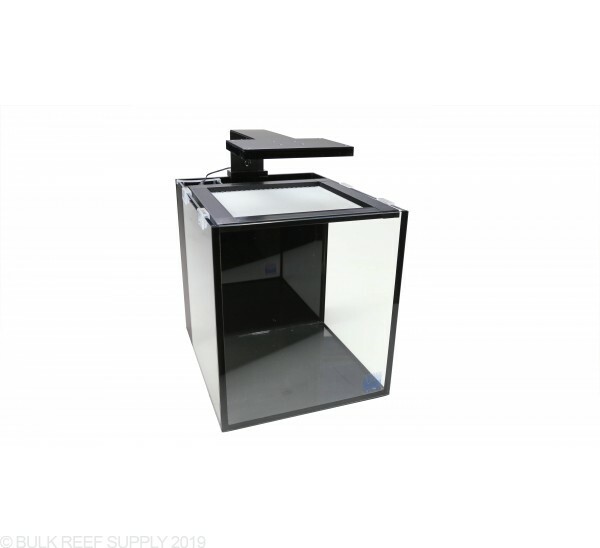 Great tank, nice beveled edges, thick padding on the bottom, brs shipped it in a double box, which protected it very nice and fast shipping, you could not buy a better tank. Looks really nice and works great. 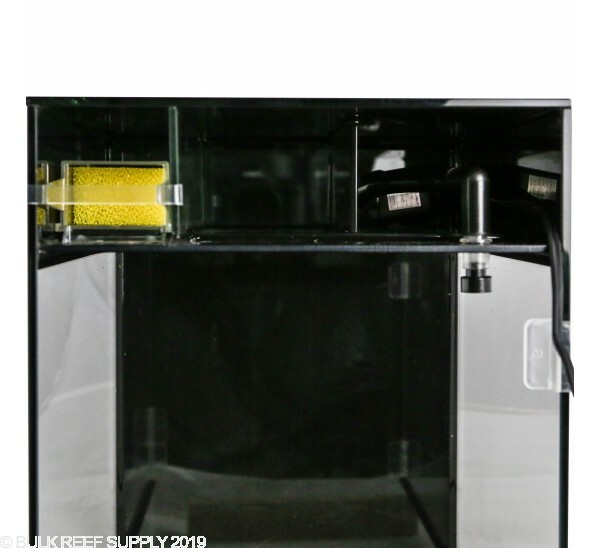 Does this aquarium come with the filter sock as it says in the description? 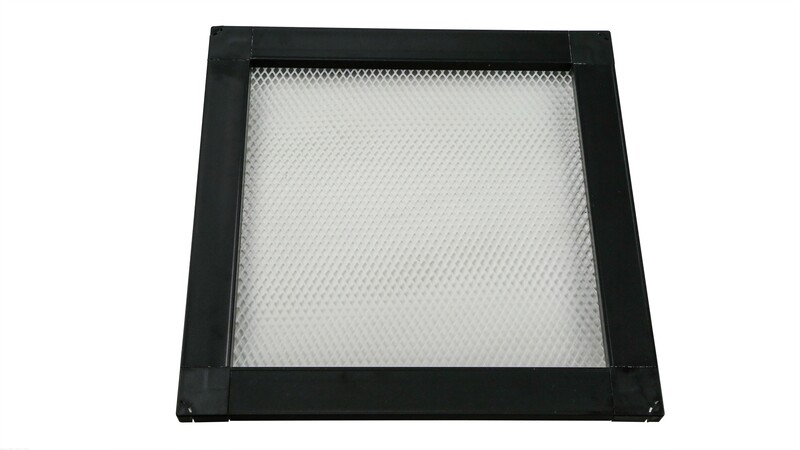 There is a review from earlier this year that says that it comes with filter baskets. 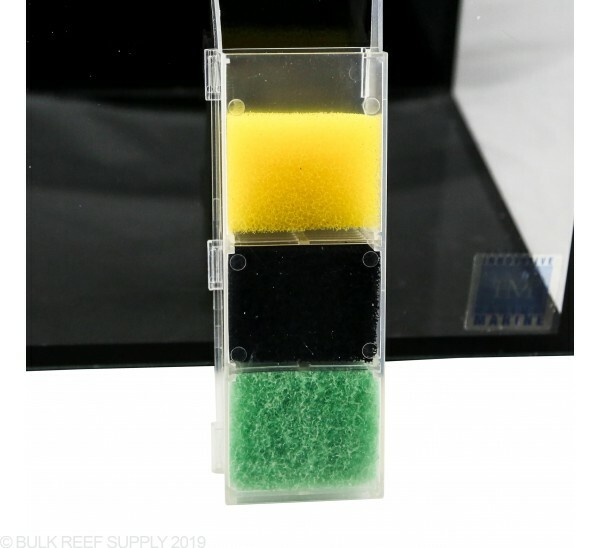 The new tanks (all in stock) will come with the filter sock. Feel free to let us know if you have any further questions! The last two answers are conflicting. Is there a return pump included or should we purchase a separate pump? 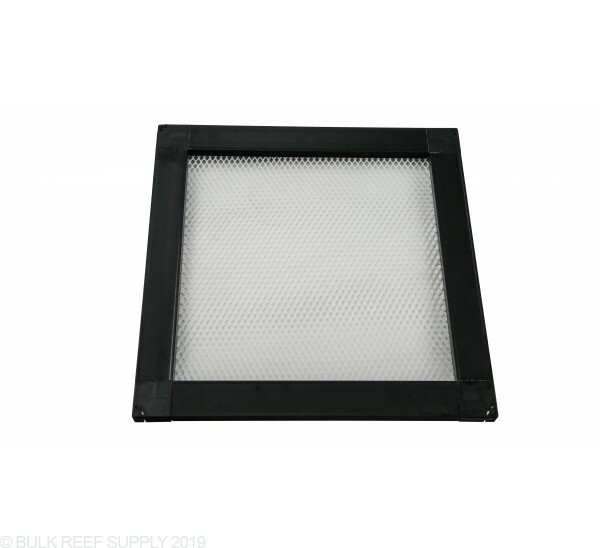 Can you remove the filter sump area? The back sump area is permanently attached on the Nuvo tanks. The back chambers can be configured for various purposes though, and the filter socks are removable/replaceable. Does this setup include the light pictures? 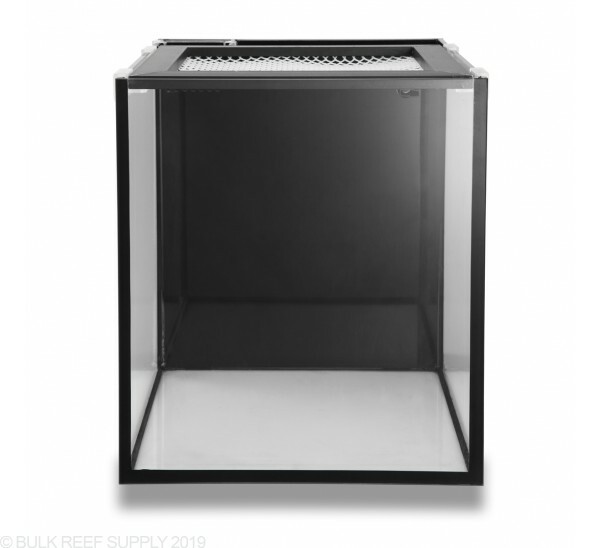 if not what light do you recommend for it being used as an office tank keeping LPS and zoas? Great question. We have both options available. I have included a link below. 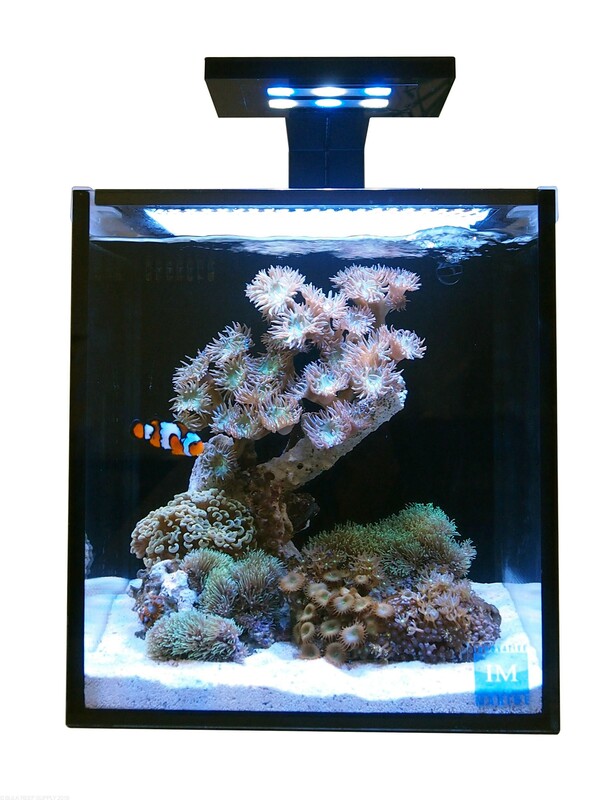 The one with the Skyye light is fine for softies and low light corals. 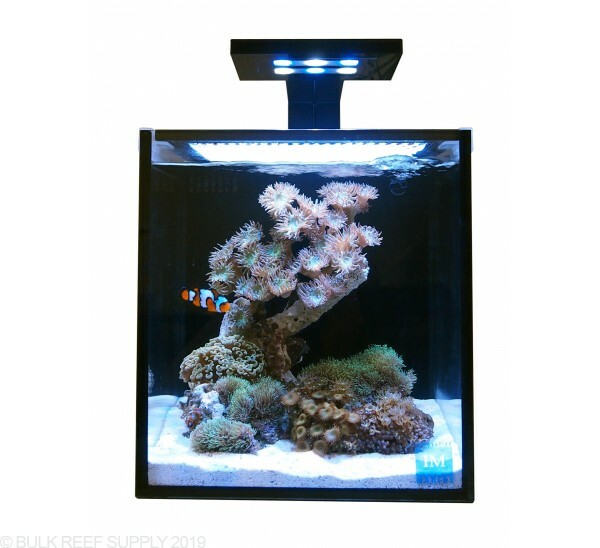 We recommend either an AI prime or kessil a160 as great alternatives. Does it come with a heater and return pump? Great question! Unfortunately the return pump and heater are sold separately. What return pump and heater work best for this tank? Any small heater such as Eheim will work well! The tank already includes the return pump in the back compartment. Yes, the return pump is included.